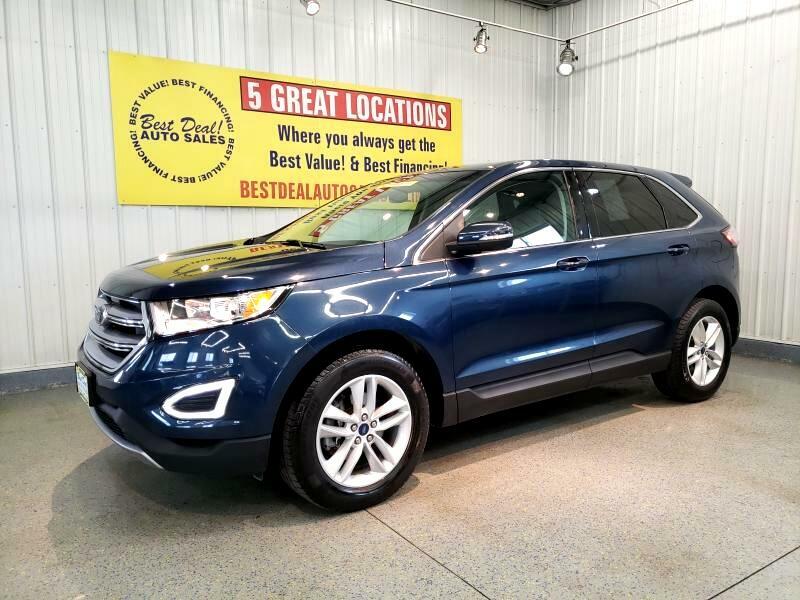 <<<ON HOLD>>>Clean 2017 Ford Edge SEL with EcoBoost! Keyless Ignition, Full Power, Plush, Heated, Leather Seating, with Power Lumbar, SYNC Touchscreen Interface Premium Audio with Aux. Inputs, Large Screen Rear Back-Up Camera, Bluetooth Connectivity, Rear Spoiler, Window Tint, Signal and Heated, Side Mirrors, and More! Stop by or give us a call today! 260-482-8899. Family owned and operated since 1999 and still going strong!